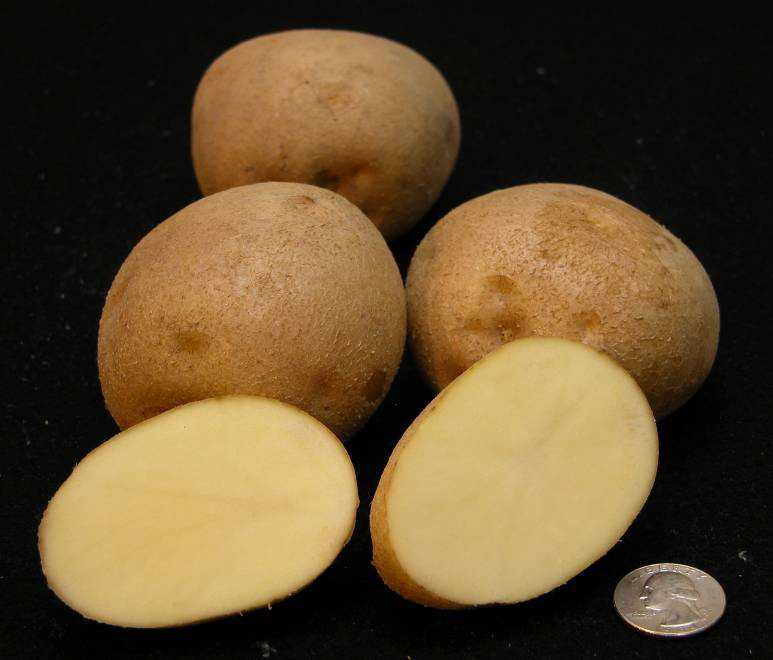 Kalkaska (Solanum tuberosum) is a round, white chip-processing potato variety developed at Michigan State University. The variety is high yielding and has a resistance to common scab (Streptomyces scabies). It has a strong vine and a full-season maturity. · Plant: Medium to tall height, semi-erect with a balance between stems and foliage visible, and white-colored flowers. · Tubers: Round tubers with flakey, brown-colored skin. Tubers have creamy flesh with a low incidence of internal defects. Total glycoalkaloids in the tuber are low.